We’re pleased to welcome a new business to the Newport Pagnell Bucks Biz iCentre! Established in August 2014, UK Response Services have just finished moving into their new office. They are an Electrical Contracting company who operate across Bucks, Beds, London and Herts. They specialise in large commercial and domestic sites, working on all electrical aspects from re-wiring to smart homes, door entry systems, CCTV, alarms and more. 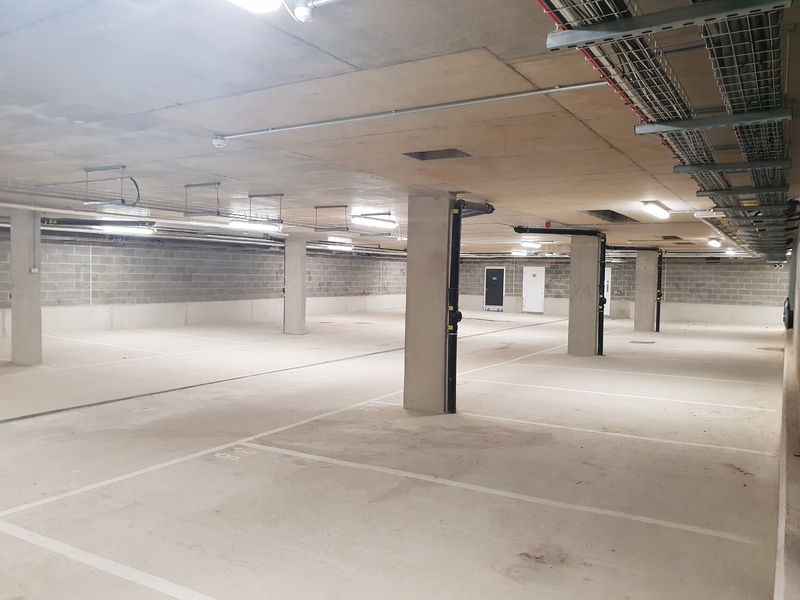 They've worked on various projects from car parks (like the one below) to kitchens! They have recently expanded, meaning they can now manufacture light fittings, so it’s an exciting time for UK Response Services as that part of the company is very niche and ideal for clients who are looking for bespoke service. They can change light fittings to a higher specification, make them change colours, and can even add dimming modules, which is perfect if you like mood lighting and want to create an atmosphere! UK Response Services hope to continue with their company growth and expansion, and they’re happy to discuss possible discounted rates for businesses at Bucks Biz. Call them on 01908 299264 or email christie@ukresponseservices.com for more information. Are you looking to rent units in Milton Keynes? At Bucks Biz, we take pride in our flexible model of up-sizing and down-sizing work spaces in all of our Business Centres to rent in Milton Keynes. It is important for us that you are in a space that is conducive and appropriate for the nature of your business as and when your business needs it. We have various sizes of office and studio space to rent in Milton Keynes. If you are interested and would like to view our available spaces to rent call 01908 299 007 now or click the button below.